A series of eight seminars by leading academics, poets, prose writers, script writers and script doctors on structure, narrative and plot in creative work. These seminars will be craft-focused and designed to help writers to plot their work and refine its structure. These will be hosted in London and Norwich. The seminars will be for a maximum of fifteen students. If you sign up and do not attend or cancel with less than five days notice, you may not be permitted to attend future seminars in the series. Seminars will be accompanied by wine tastings and a carnival of snackery. They are scheduled at 5–7pm on the Wednesdays specified below. The following four sessions below have been confirmed. For the remaining sessions, we are hoping to confirm writers including novelist Rachel Cusk and poet Denise Riley. Once the remaining session leaders have been confirmed, this page will be updated. Apply using the form below and if your application is accepted, you will receive an email confirming your attendance (with room details and reading material) three weeks in advance of the event. Steve Waters is a playwright whose plays include Limehouse (Donmar Warehouse, 2017) and Temple (Donmar Warehouse, 2015). He convenes the MA in scriptwriting at UEA. 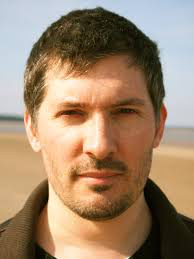 Thomas Karshan is a lecturer at the University of East Anglia, where he teaches twentieth-century literature, with a focus on games, nonsense, and parody. He is the author of Vladimir Nabokov and the Art of Play, the editor of Nabokov’s Selected Poems and the co-translator of Nabokov’s first major work, a Shakespearean verse-play called The Tragedy of Mister Morn. John Mullan is Professor of English at UCL and best-selling author of How Novels Work. Denise Riley’s books are War in the Nursery: Theories of the Child and Mother , ‘Am I That Name?’ Feminism and the Category of 'Women' in History , The Words of Selves: Identification, Solidarity, Irony (2000), The Force of Language (with Jean- Jacques Lecercle; 2004), Impersonal Passion: Language as Affect (2005) and Time Lived, Without Its Flow . Her poetry collections include Marxism for Infants(1977), Dry Air (1985), Mop Mop Georgette (1993), Penguin Modern Poets series 2, vol 10 (with Douglas Oliver and Iain Sinclair; 1996), Selected Poems (2000), Say Something Back (2016) and Penguin Modern Poets series 3, vol 6 [with Maggie Nelson and Claudia Rankine; 2017]. If your application is successful, you will be sent W.S. Graham's 'Implements in their places' and Alice Notley's 'Voices' to read in advance of the session. Tony Fisher is Reader in Theatre and Philosophy, at the Royal Central School of Speech and Drama. His monograph, Theatre and Governance in Britain, 1500-1900: Democracy, Disorder and the State was published in 2017 by Cambridge University Press. He is also co-editor (with Eve Katsouraki) of Performing Antagonism: Theatre, Performance and Radical Democracy (Palgrave Macmillan, 2017) and Beyond Failure: New Essays on the Cultural History of Failure in Theatre and Performance for Routledge, 2019 (also edited with Eve Katsouraki). 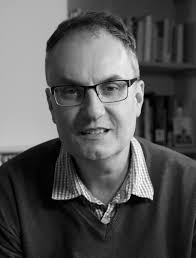 Before becoming Associate Director of Research in 2017, he was the course leader on MA Writing for Stage and Broadcast Media, and worked for a number of years as a script writing in the UK film industry.